It was the result of much reading and study of the rules of religious orders from the days of Cassian and the Desert Fathers and Mothers and then the Rule of St. Benedict and modern religious communities. These latter included for example the Society of the Sacred Heart of Jesus founded by Sophie Barat in 1826 and the Christian Brothers founded by the Venerable de la Salle in 1725. She also drew on the Constitutions of the Jesuits. She had travelled on the Continent visiting RC Orders gaining ideas but was not always enamoured of them. She described one in France where, she had been told, all the novices under 21 had died of malnutrition! It was all so austere and unnatural; she wrote ‘a more unattractive expression of the Religious Life one would never hope to see.’ The Rule and Customs she produced were redolent, not only of devotion and discipline, but also of common sense! When changes swept over Religious Orders in the 1960s we realised that the Victorian language of the Rule needed updating. Having begun, the Rule Committee soon saw that it was not possible to ‘tinker’ with the language: a major overhaul was required. So began a marathon work to restate the principles of the ‘old’ Rule in language and concepts, including theological insights more in tune with the 20th Century. Mother Emily had taken 16 years to write the Rule; it took thirty to revise it, going through numbers of editions. 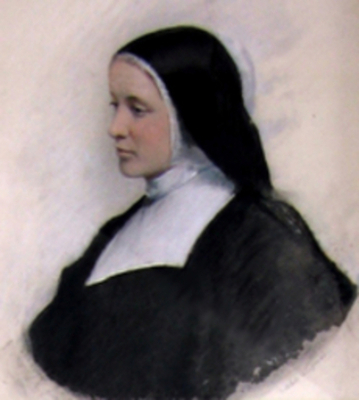 Being a living document it will probably evolve still further as the Community does, while remaining faithful to Mother Emily’s vision and spirit, as her present-day sisters wish to be.